Complete Teaching Package that Will Save Time and Frustration! This kit contains materials representing atomic structures and electron arrangement within elements. 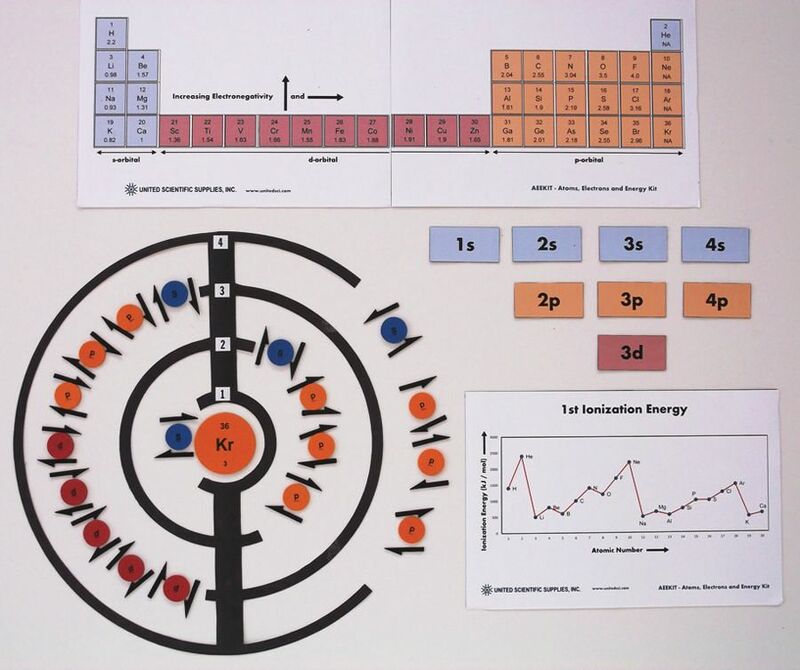 It also provides materials necessary to demonstrate how atomic arrangement relates to placement in the periodic table of elements. 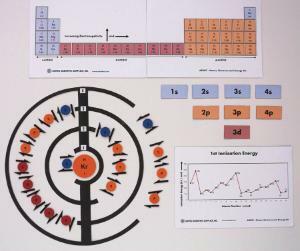 The kit contains energy level templates, and enough nuclear areas, orbitals (s, p, d) and electrons to represent the first 36 elements. Each nucleus and orbital is color coded to match a large periodic chart depicting trends in electron orbital arrangement and electronegativity. Also included is a large 1st ionization energy chart for these 36 elements.